The Amazon Kindle 3 was launched in September 2010 after a media frenzy following the unveiling of the ebook reader many months before. The big question is, does the Amazon Kindle have what it takes to be the ebook reader of choice this year? These price points are really attractive, and seriously undercuts the competition making the Kindle 3G and Wifi not only more affordable than its closest competitors, but it adds features such as free 3G connectivity available around the world. I found this to be really useful whilst waiting for my flight from Bangkok for example, where I had just finished a novel, and the airport book store was charging 200% more than list price for some English paperbacks! 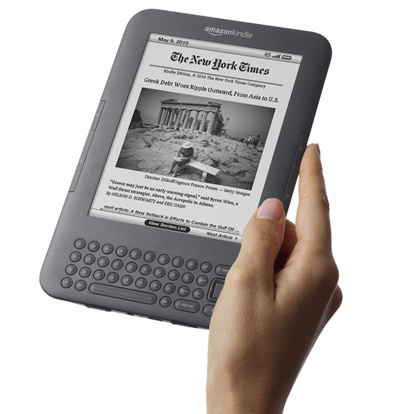 In terms of technology, the Kindle 3 uses the latest Pearl high contrast E-Ink screen, which provides 16 shades of grey for a really comfortable reading experience (this is comparable to the screens used in the Sony PRS 350 and PRS650). The 6 inch screen is crisp and clear, and is readable in most conditions including bright sunlight. This is one of the problems with the previous Sony PRS600 and the Apple Ipad, whereby their screens make it difficult to read in direct sunlight. Another advantage of the new Pearl E-Ink screen is that text read from it will look as sharp as reading printed copy. A big gripe I have with reading books on my Apple Ipad for example, is that I get eye strain from reading from the backlit reflective screen. Thankfully this isn’t the case with my Kindle, which lets me read for hours, just like reading a real book. In terms of aesthetics the Kindle 3 is really attractive, featuring a nice matte graphite exterior, a super thin design, and an elegant design. In my opinion the previous Kindle readers had too much of a retro look to them, and this latest reader is just perfect. The Kindle 3 and the Sony PRS350/PRS 650 are my favourites in terms of product design, the Sony ebook readers get a slight edge because of their metal alloy frame which makes them feel really solid. But the Amazon Kindle also looks great, and always gets compliments on the tube or train. Because it’s so light you can hold it for hours without getting tired, and keep it in your coat pocket without having any unsightly bulges! The Kindle has a new Li-Polymer 1750mAh battery which gives you up to 1 month of reading time if you turn off the 3G/Wifi settings (10 days with 3G wireless on, 3 weeks with Wifi). In my tests I found that I can get around 2-3 weeks of “normal” usage with 3G on before having to charge it up. Charging takes an hour or so, and you get a proper charger included with your Kindle (Other ebook readers like the Sony PRS series only provide a usb cable for charging). In a way this is the Amazon Kindle’s Achiles heel, as the Kindle only supports Kindle (Azw) and non DRM Mobi/Pdf files natively. You can also send .txt, audible, .doc, html,and image files through your amazon email which loads them onto your device too. What this means is that you will be restricted to buying ebooks from the Kindle store only (you won’t be able to use Waterstones, WHSmith, Diesel Ebooks, Kobo etc). But on the flip side, you get access to one of the biggest ebook stores in the world, with some of the most competitive prices around. I regularly check prices of ebooks across the main ebook stores and Amazon usually matches other prices or is 10-25% cheaper. Plus you can buy books straight from the device and be reading within minutes. If you own an Iphone, or Ipad you can also install the Amazon Kindle reader app, and get access to all your purchased books too for free. The Amazon Kindle differentiates itself from the crowd mainly because of its free 3G connectivity, which enables you to buy books whilst travelling. You also get text to speech built in, which makes your books sound like a cross between Stephen Hawking and an actual American lady/ or man. This is great for accessibility, especially until the library of audiobooks expands to cover all books available. Amazon are also experimenting with new features, and you get access to a beta web browser too, which you can use to browse the web for free. In theory it’s a great idea, in practice it’s a slow and awkward process. But you can’t really complain with free web access can you? The Amazon Kindle 3 is priced at £109/$139 for the Wifi version, and £149/$189 for the 3G version. In comparison, the closest competitors in terms of features are the Sony PRS 650 available for £199/$229 and the BeBook Neo available for £229/$350. The Kindle 3 is therefore great value, as you’re not only getting more features, but its around £50/ $40 cheaper than the competition. We recommend getting the 3G version as it makes getting new ebooks really easy and convenient, especially for non technical users. You can read about the technical specifications and compare the Kindle 3 to the leading ebook readers using our 6″ ebook reader comparison table here. Amazon have a real winner on their hands this year with the Kindle 3 ebook readers. Not only are they priced very competitively, but they make purchasing and reading books easy, and convenient. The 3G connectivity and direct access to one of the largest ebook, newspaper and magazine stores in the world means you are literally a few button presses away from nearly any book, wherever you are. This range of ebook readers are ideal for non techie types too, as getting to grips with the device literally takes minutes and doesn’t require any computer. Just buy from amazon and the device will come pre-registered with your Amazon ID, ready for you to charge up and use. The only place to buy your Kindle is direct at Amazon. The BeBook Club is the latest ebook reader, from open ebook reader pioneers Endless Ideas. 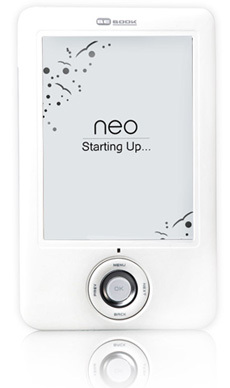 This ebook reader has been designed to compete at a lower pricepoint, in order to satisfy users not looking for advanced features found in the BeBook Neo. The BeBook Club is similar to the BeBook One: It’s got a 6 inch Vizplex E-Ink screen, and shares the open nature of its predecessor enabling you to load up just about any ebook format including: PDF, EPUB, MOBI, FB2, TXT, PDB, HTML, CHM, JPEG, BMP, PNG and TIFF. The great thing which separates the BeBook Club from the Amazon Kindle for example is the ability to buy an ebook from any ebook store and load it up onto the device, sadly the Kindle can only read ebooks purchased from the Kindle store, and non DRM pdfs. In terms of look, the BeBook Club has a nice plastic front which feels solid, but its no Sony Ebook reader in terms of style. In terms of functionality, it uses the same 6” 600×800 E Ink Vizplex screen as the BeBook One, which is standard across most ebook readers these days. But the new Sony PRS-350, PRS-650 and Amazon Kindle 3G are now using an improved E Ink Pearl screen which offers better contrast, so this screen is technically inferior. The main difference between the BeBook Club and the BeBook Neo is the lack of Wifi and internet browsing, and no touchscreen. Instead you navigate using a set of buttons on the device. The BeBook also offers fast page refresh rates, and the ability to listen to audio too. You should get around 12,000 page views from a single charge which puts it tip of its class in battery life. Other than that, the BeBook Club includes an external SD card slot so you can expand the 510mb of internal memory up to 4GB! This would be enough for a lifetime of reading. You can find the BeBook Club at £149/$189 which makes it quite attractive for a 6 inch screen ebook reader with access to most of the ebook formats. Click here to compare the BeBook Club to the other 6” ebook readers available today. Sony are synonymous with timeless design, and solid quality – The Sony PRS-350 with its 5 inch screen is no exception. Featuring a brushed aluminium design, it looks and feels great. And along with its larger sibling the Sony PRS-650 with its 6 inch screen are probably the best looking ebook readers around. -A new E-Ink Pearl screen, which improves contrast by 50%. 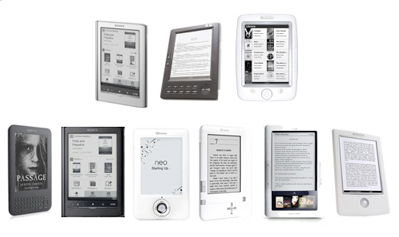 This is the same new display used in the 3rd generation Amazon Kindle, and Sony PRS-650. This new screen now provides 16 shades of grey instead of 8, and is now clearer than ever. -The PRS350 now has touchscreen functionality, which uses infrared sensors for improved clarity and response rate (the previous PRS-300 didn’t have a touchscreen). -Its also 60 grams lighter, which makes it an ideal ebook reader for those travelling light (fits a handbag perfectly). Other than these new features, the Sony PRS-350 build on the great feature set of its predecessor. Its supports an impressive range of ebook formats including BBeB (LRF/LRX), PDF, EPUB, TXT, RTF, JPEG, BMP, GIF and PNG so you can literally purchase your ebooks from nearly every ebook store. Because of this you are not tied down to a specific ebook store like the Amazon Kindle. 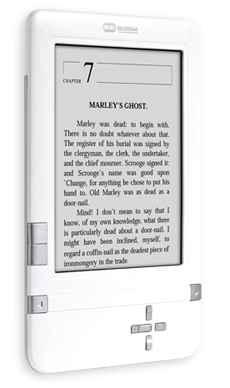 This ebook reader also features a large 2GB internal memory which is enough to carry thousands of ebooks at a time. Unfortunately you don’t get any Wifi or 3G connectivity, and you have to purchase books from online ebook retailers from your desktop. But these are somewhat advantages, as it means you get solid battery life, and can purchase ebooks at any ebook retailer (therefore can comparison shop for the best ebook deals). In terms of price points, you can find this ebook reader for around £159/$179 which makes it an ideal purchase if you are an occasional book reader. If you spend a lot of time reading, you might want to consider the Sony PRS-650 which features a 6 inch screen for more comfortable reading. 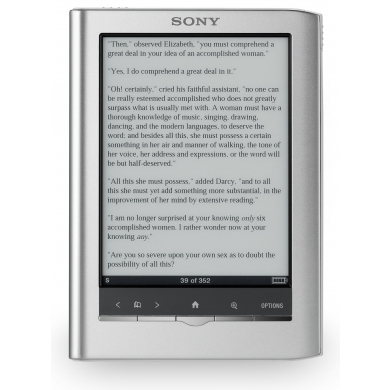 Click here to compare the Sony PRS-350 to the other 6” ebook readers available today. The last couple of months/weeks have been busy in the world of ebook readers, with many manufacturers updating their lineup in time for Christmas. We have therefore gone through the ebook readers on our 5″ and 6″ comparison tables, and have updated the list with the latest models and their specs. Click here to check out our 5″ ebook reader comparison table.